We hang in our second season of Halfway There with a packed house and a line-up of four fantastic readers. It was a great welcome back. 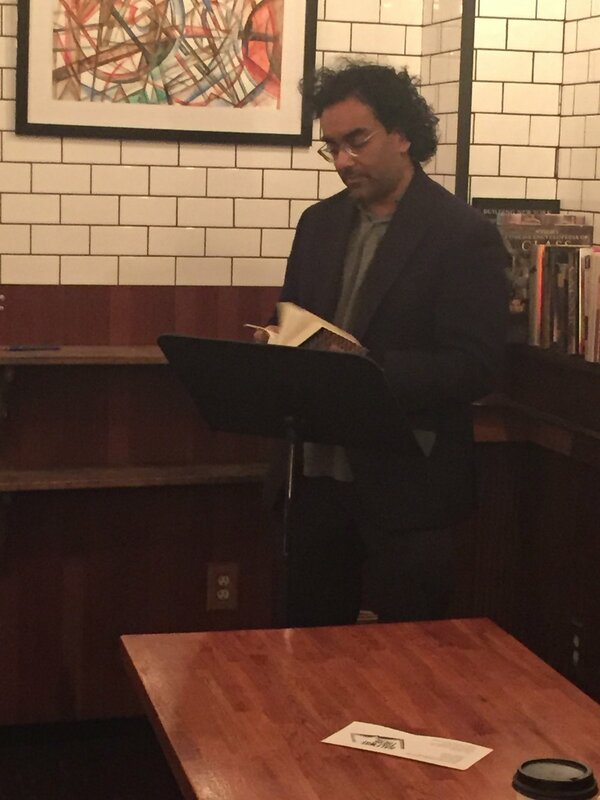 Mark de Silva kicked off the readings, sharing a rare self-contained passage from the novel SQUARE WAVE, which he describes as "kaleidoscopic." Ben Greenman followed him, reading not from his newest book, EMOTIONAL RESCUE, but from a series of shorts he'd selected in honor of the reading falling on the night of the first presidential debate (we ended a little early so everyone could get home in time to see the theatrics), including "When Animals Run Attack Ads." Rachel Eliza Griffiths was up next, reading from her book of poetry LIGHTING THE SHADOW. She read a series of poems, ending with "Elegy" and "Anti-Elegy." About historical and contemporary violence against black people, particularly black boys, Griffiths updated a passage as she read, including "Tulsa" and "Charlotte" in the list of places that have become synonymous with the murder of black men by police. Sara Weiss completed the line-up, reading from her just-completed novel manuscript TRAVEL LIGHT. She shared a chapter in which her main character, a teenager named Molly Bird, visits her mother at the campus of a non-attachment cult, and is confronted with what it means to "travel light." Each of the readers was warm and insightful during the audience Q+A. 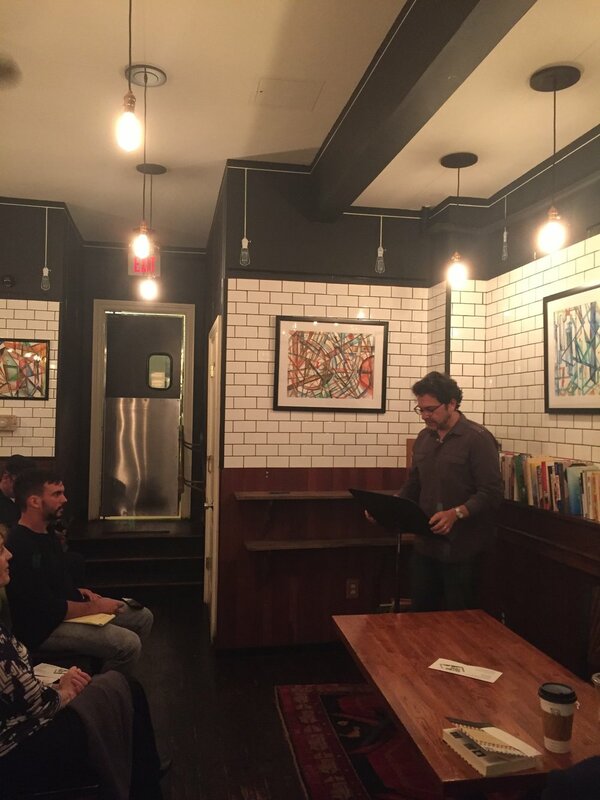 Ben Greenman shared that he often chooses work to read aloud that will elicit either "laughter or derision" from the audience; if he reads something serious, he said, he can't tell if the audience is paying attention or bored. Rachel Eliza Griffiths talked about the way her writing life intersects with her other creative work--she is also a visual artist--and described how her routine includes either writing or reading something related to her writing every day. Mark de Silva talked about authors V.S. Naipaul and J.M. Coetzee who inform his work with their engagement with the history and legacy of colonialism. Sara Weiss spoke about how having children has made her a more productive writer; she writes for two hours two days a week when she has a babysitter and during nap time, giving her no time to procrastinate. She also found a way to answer the very difficult question an audience member lobbed at the writers: why do you write? Weiss said it wasn't for a concrete reward, but because she was continually teaching herself as she went, and that each successive work she writes contributes to her education. It was a really inspiring night. We can't wait for January!